The University of Nebraska-Lincoln's project focuses on ensuring global food security by improving crop resilience. 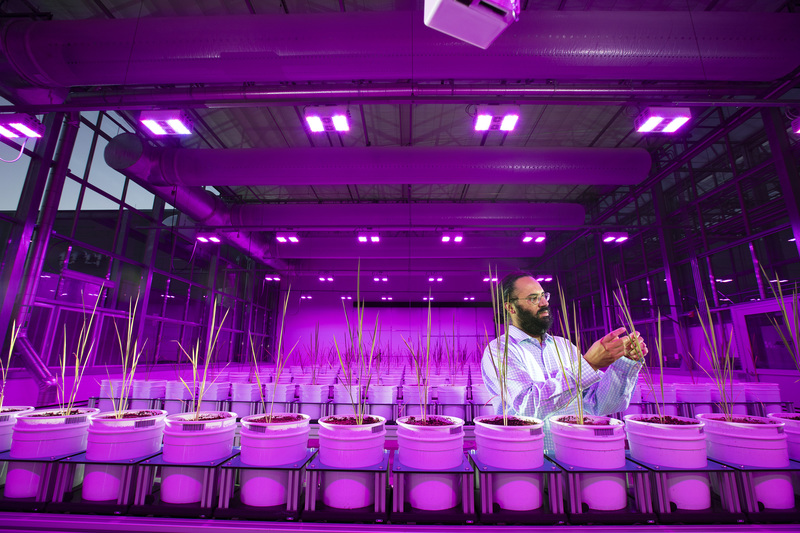 Principal investigator Harkamal Walia checks the progress of a rice plant growing in the Lemna Tech High Throughput Phenotyping facility at the Greenhouse Innovation Center on the Nebraska Innovation Campus. 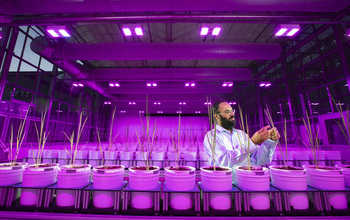 The magenta glow is caused by custom LED grow lights. The facility is an automated system which moves the plants via conveyor belts and automatically waters them and then records their growth daily using various cameras and instruments.